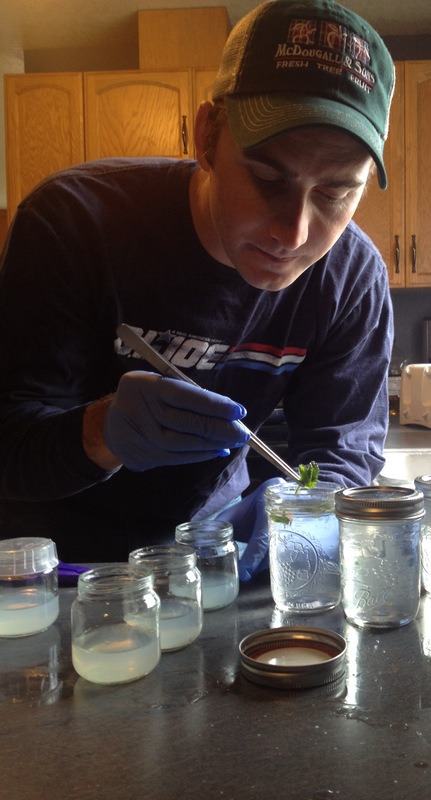 On 3/27/2014 I began a plant cloning experiment. I purchased a kit from Carol Stiff who runs http://www.kitchenculturekit.com/ Carol spoke briefly during one of my Master Gardener classes about the benefits of cloning plants and I was intrigued. I am attempting to clone a variety of my more exotic indoor plants/trees as well as some of my typical gardening plants as well. I have extremely productive strawberry plants that I would love to have more of. The literature on this topic says you can make hundreds of clones from one original plant. It is fascinating stuff! 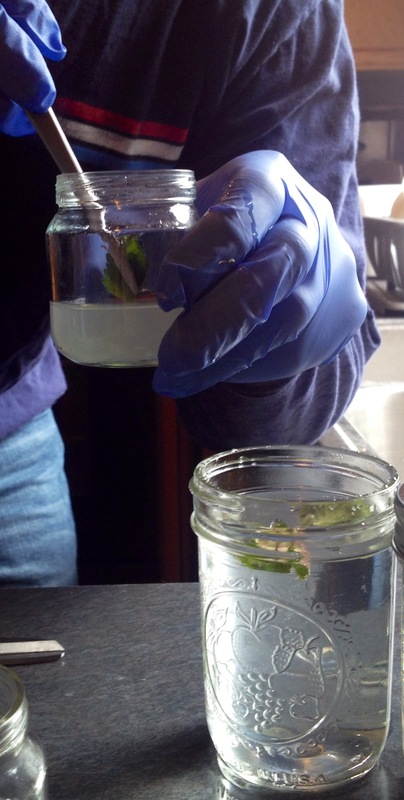 First you’ll create a sterile environment using alcohol in a spray bottle. 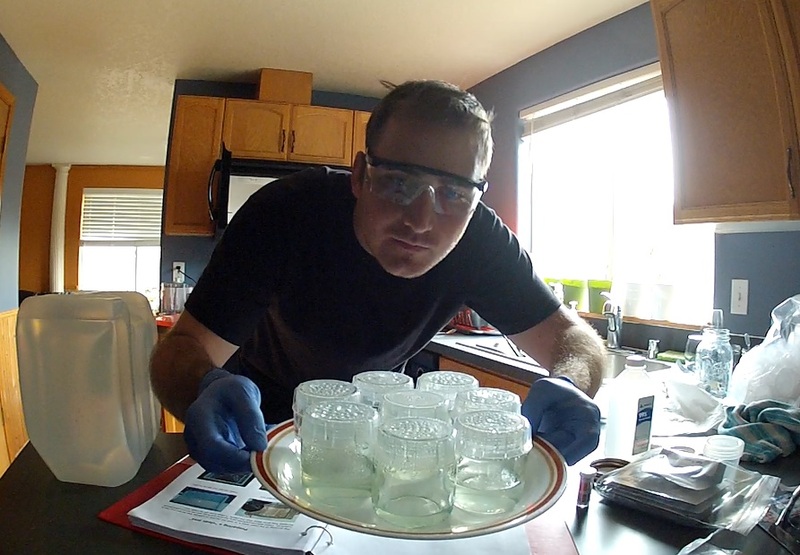 You’ll then mix up a Jello-like media to be poured in baby food jars. (They will take a few hours to harden up from liquid into gel). 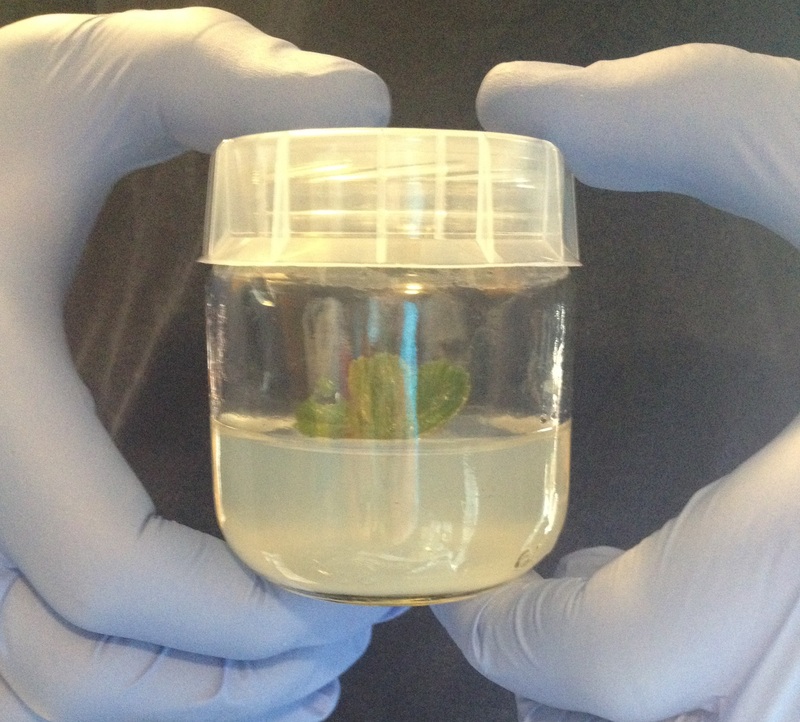 Once they are ready you will take cuttings from the plants you want to clone using sterile instruments. Then you wash your cuttings in soapy water, followed by washing in a 1/10 bleach/water solution, and finally rinse with water. I want to see if I can clone my dwarf banana tree, dwarf lemon tree, dwarf orange tree, and kona coffee plant. This will be interesting as I am not entirely sure what kind of rootstock was on these original plants. It is very possible they were just a cutting that utilized root hormones to stimulate growth as I do not see evidence of a graft. This leaves me with questions about the specific variety that I have and what causes them to remain a dwarf.